If you are looking for a family-oriented, business-friendly resort community in a tropical location to work, relax, play, and make your home, look no further than Puerto Rico’s Palmas del Mar. As the Caribbean’s best resort community, Palmas del Mar offers its inhabitants a low crime rate, the world-class private K-12 college preparatory school Palmas Academy, and ample activities for children and parents to enjoy, from festivals to sports and recreation at one of the island’s many swimming pools, golf courses, and equestrian areas. All the luxuries of modern life and all the beauty of the tropics are combined on just one island on Puerto Rico’s beautiful eastern shore. A Puerto Rico Tax Haven? 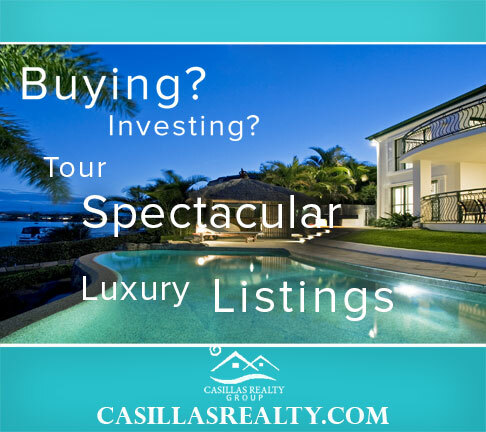 Luxurious living in one of the world’s most stunning locales is not the only thing which Palmas del Mar offers. As a part of Puerto Rico, it’s also a great place to do business. Puerto Rico has the highest GNP of any Latin American country, is a known manufacturing powerhouse, especially for the medical industry; and has a booming financial sector. But that’s just the beginning of what makes PR so great for businesspeople: though a part of the US, Puerto Rico is not a state and therefore not subject to U.S. federal taxes. Puerto Rico also makes its own laws—and, because Puerto Rico wants to attract capable businessmen and women, they’re rather pro-business. Take, for example, Puerto Rico’s Tax Acts 20 and 22, which make doing business—and living!—in Puerto Rico even better. Looking to operate a business with an international reach? Tax Act 20 provides support for Puerto Rican companies to expand their services outside of Puerto Rico. Nearly all services for export, whether financial, legal, engineering, consulting, public relations/advertisement, and research/development are covered and may be eligible for a low corporate tax rate (4%, which can be lowered to 3%) as well as a 100% tax exemption on dividends from export services and on property tax. If you’re an investor, Tax Act 22—meant to attract new residents and private investors to Puerto Rico— provides a total tax exemption on passive income after an individual has become a resident of Puerto Rico. Act 22 makes it possible for private investors to get a 100% tax exemption on all dividends and interest when filing their Puerto Rican income tax. Of course, one need not be looking to work to enjoy life on Palmas del Mar. For retirees, too, the island is a wonderful place. Boasting a marina and yacht, beach, tennis, and golf club along with ample equestrian facilities, fine and casual dining restaurants, opportunities for fishing, gyms, and spas, you can enjoy a luxurious and relaxing life surrounded by a true tropical paradise bordered by pristine beaches and nestled in clear water. With its varied and beautiful surroundings, business opportunities, luxurious living, and eight resort villages to choose from, Palmas del Mar offers something for everyone, old or young. © 2019 Puerto Rico Tax Haven. All Rights Reserved.